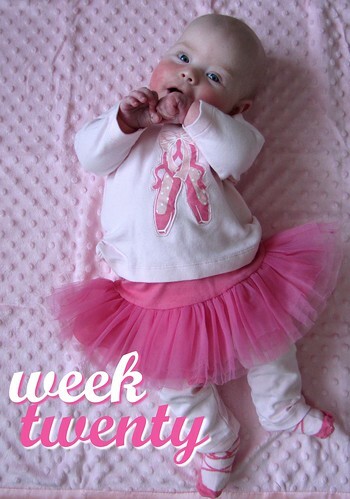 Twenty weeks. Lucy finally had her 4 month doctor's appointment earlier this week. Our pediatrician is very popular and sometimes it is tough to get in to see her when you want or need to. She weighs in at 11 lbs, 14 oz (10th percentile) and is measuring at 24 inches (18th percentile). She's small, but proportionate and that's all that matters. She had a couple of shots and an oral vaccine, but did well with them and didn't have any kind of reaction. It was a great appointment. Can't believe how much she has grown! Love to you all!